Hi, there! This is your dance teacher. Your older dance teacher. Let’s chat. First, I know you love dance. You want to be great. You want to work. You want people to see all that you have to offer. You are also coming of age in a dance world that is so different from the one I grew up in, and I’m excited to see what develops. But I’ve seen a lot that concerns me. You come from a generation that has been empowered like none before in humanity. You have been taught to question authority – to do your own thing -- from an early age. Many of you have been raised where “everyone gets a trophy,” and your teachers, parents and coaches, trying to be encouraging, often praised you just because. Furthermore, in the age of the Internet everything is accessible instantly and effortlessly. You want to look up a word or person? Google it. You hear a song you like? You don’t even have to remember the words -- just Shazam it. Hell, you don’t even have to push a button anymore; you merely touch a screen. Success is also a product of criticism from others and oneself. In dance class corrections are very public. The teacher cannot always say everything in the gentlest way. With a class full of students, she needs to be concise and clear. Your teacher’s job is not to make you like her, not to make you want go have coffee or drinks, or to be lifelong or even Facebook friends. Personally, I like it when I become friends with students. But this happens because before anything else the student trusted me – my skills and knowledge as a dancer and teacher. If you don’t trust your teacher you might find her corrections disrespectful. I tend to get zealous with corrections, going on campaigns and harangues to fix things. My humor tends toward the sarcastic, which can rub people the wrong way. Thus the combination of doggedly wanting to help and a dry wit might offend some students. If you are one of these students, you need to come talk to me about it. Don’t rip me a new one via your parents or in your course evaluation. Certainly there is humiliation, even cruelty in the dance studio. The caricature of the mean teacher or choreographer is based in truth. But when you find a teacher who is going out of her way to correct you, and perhaps getting a little frustrated – to call this teacher disrespectful is wrong. You do yourself a disservice. It is much easier for your teacher to ignore you, and spend time on someone who makes changes quickly. Only a teacher who thinks you have potential would bother to try to help you. Not disrespectful at all – exactly the opposite. And that puts the onus on you, to take responsibility for yourself. If you don’t understand why you are getting a correction five times per class or why your dancing is not getting the compliments you’d like, ASK! The teachers who gave me the harshest, most brutally honest corrections are the ones I learned the most from. I didn’t like what they had to say, but in my day, we just went home and cried -- never did we accuse the teacher of disrespect. Weeks, months or even years later, I realized how right the teacher was. That said, their corrections didn’t mean I was a) a bad dancer b) never going to dance professionally c) meant to be a Taco Bell employee. So please, take class mindfully. Work hard. Bring passion into the studio. Be curious about how to get better. Ask questions. And remember, if someone cares enough to work with you day in and day out, if she or he cares enough to get frustrated with you, she’s not being disrespectful, she’s TEACHING. You have so much information and technology available to you, and I know you have a lot to say. But a skilled dancing body still counts. Let me help. I like that, Angie. I have long meant to do more reflection in classes - putting the responsibility on the student to assess herself and not judge me. The Balanchine anecdote was paraphrased from the book, "Suki Schorer On Balanchine Technique." I couldn't remember the book title... had to get to my office! Thank you Julie! I agree that it stinks when you don't get any corrections in class, especially when you know you could use them! Can't wait to show this to my almost 10 year old dancer when she gets home. I've only ever heard her complain about one dance teacher so I'm not worried that she interprets corrections as "disrespect", but I'm not sure she's ever considered that the ones who take the time to correct her are genuinely interested in seeing her become a better dancer! It is a different way of looking at your interaction with your teachers. I know corrections or reminders can feel like scolding but they should be thought of as anything but. Eventually you get to the point where if you haven't been corrected you feel ignored! Great post! I will share this with my co-workers. We are dance faculty and a high school. We encounter these trials and tribulations all too often; these are exactly our thoughts! Thank you!! Thank you, Melinda. This is meant for teachers in middle school, high school and college! I'm so glad I could give written voice to your thoughts! You brought me right back Keesha. I am not a dancer but was a singer and actor. I can remember being roasted over the coals in acting class, or in a voice class. NEVER in a million years would I or anyone else say anything. There was an understanding that we needed to work, really hard to improve on our talents. I can understand why some in my generation (I think I'm quite a bit older than you, I'm 47) tried to be a little gentler and kinder but I think perhaps we went way too far. Thanks for a wonderful piece!!!! This should be taped up in every dance school!!! Thank you, Kathy! I remember those awful comments also - the ones where you wanted the floor to open up and swallow you whole, but you went home, cried, got angry with yourself and practiced - and figured it out. I agree that we've swung over to far in the kindness and gentleness. Now how do we find the middle? This is amazing and perfect. Thank you SO MUCH for putting this out there. Awwww, now! I am blushing. Thank you, Shay! I don't teach Dance but I teach French and this letter also applies to my work. You are so welcome! That makes perfect sense. Learning how to speak a language is the same learning situation as a dance, acting, singing or art class, or even sports. Thank you for sharing this in a comment! Thank you for letting me know in a comment. Comments mean the world to me! Thank you so very much, Erin, for taking the time to write such a lovely comment. It makes me so happy that other teachers not only feel the same way, but can use this open letter to reach their students. Yay! This is just lovely. From one teacher to another, from one writer to another, I thank you. The more we say this, the more parents might begin to hear us. Thank you, Jessica. I know as parents we all want to protect our children. For me, I know that having kids has made me understand that. Still parents must help their kids grasp that as long as a demanding teacher shows s/he wants child to learn and grow, it's a good thing. Just left a class that rests on its dubious laurels for this very reason! I'm so glad I'm not alone! What a great piece! You sound like a fantastic dance teacher. My 10 y/o son had 2 elementary school teachers who were very strict & tough, but incredibly loving on their students. Kids learn SO MUCH from these 2 women. I love them dearly. Both of them have former students who, as adults, come back and visit them all the time. TO me that speaks volumes!! I am sharing this piece with them ASAP b/c some parents actually don't want their kids in these 2 teachers classes. I REQUESTED that my son have them b/c they embody and reinforce what I do at home as a parent. This is spot-on. There is no substitute for hard work and focus, and the teacher shouldn't care more than the student. That is so spot on, Amy. Much of the time that is exactly what it feels like - the teacher caring more than the student. Standing ovation! Will you be my teacher? Any day, Kerry. Any day! Great letter, every student should have a teacher who cares this much! That's what I hope people understand, is that it comes from a place of caring. You are wonderful. If it weren't so far, I'd send my kids to you for dance. I had a Shakespeare professor that could seem downright mean, telling students it was not acceptable, for instance, to ask, "Why couldn't Romeo and Juliet have lived?" She would shut you down if you answered without contextual or critical reasoning to back up a response. And when I accidentally walked out of a mid-term without completing an essay (I just screwed up and did 3 out of 5, not 4 out of 5) she asked me why I would "sabotage what was likely to be an A paper." I learned so much from her that went beyond The Bard. That the kind of teacher that matters. Perfect. Not just for dance. For life. This is great!! We do live in a world of "entitlement" in this country. I wish that some of these entitled people would live with the truly destitute, who somehow, find a way to be thankful for small blessings. Maybe then, they will have respect. There was an article a while back about destitute students studying ballet in the Phillipines, where they welcomed the discipline, the criticism and the hard work. So different from so many, but certainly not all students here. I guess I will be the only one to disagree with you. 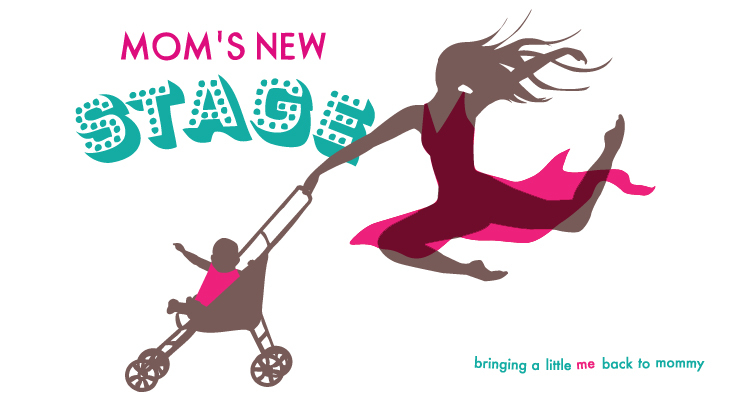 I do welcome constructive criticism and encourage it for my daughter. There are times when she has received constructive criticism from teachers (both academic and dance) and has thought the teacher has been mean to her and when this has happened, I have explained to her that the only way to improve is to receive critiques. Without them, her skill level will only stay the same. I have been supportive of comments in that vein. However, my daughter has also had teachers who went beyond the level of criticism and crossed the line into what can only be described as bullying. When I read your e-mail, it seems to me that you are asking your students to take your saracastic cristicism because you don't want to someone to "rip you a new one." It is as if you want to be treated better than you are willing to treat your students. Well, it seems to me that when teachers go overboard with criticism, the constructive aspect of the criticism is lost in the abuse; that the teacher risks endangering the student's love of dance because they cannot control their own emotions. As I mentioned earlier, I welcome criticism, but I do not welcome abuse. I have seen some dance teachers be abusive to their students, forgetting for a moment that the teacher is the adult and the student is the child; forgetting for another momement that the student and their parents are the clients and paying the teachers salaries; forgetting for another moment that being a bully is not the same thing as actually teaching. I am sorry that your daughter has had some teachers that have overdone their criticism, to the point where you would consider it abusive. Bullying in any form is unacceptable. I hope that you questioned why these teachers were becoming frustrated with your daughter. Were they truly bullies, or were they trying to push her to the next level? Did they let her know when she had succeeded? Did they provide her with any positive feedback whatsoever? 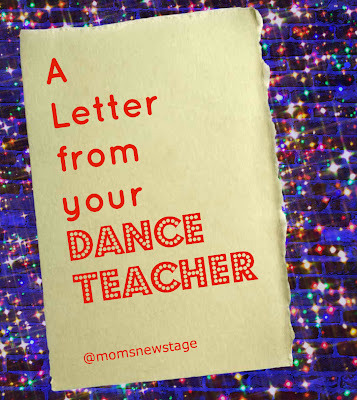 I acknowledge in my post that mean teachers exist in the dance world - I know - I've had many. The methods and manner of these teachers may be unsound, but their information and observations, is most often correct. 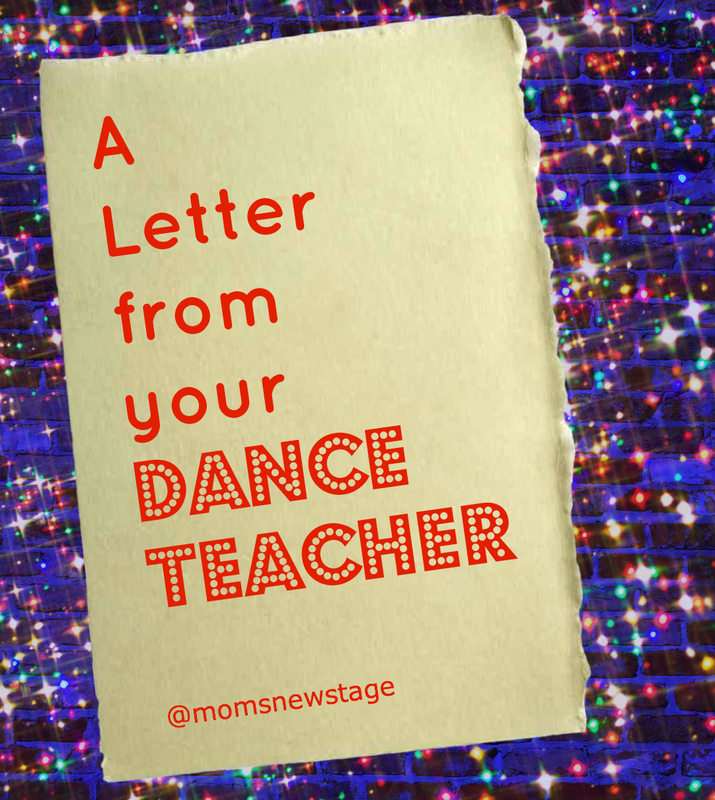 If you want to make it as a dancer, dismissing a teacher because s/he is "mean" can cost you. Condoning bullying in any classroom was not the point of this post. The reason it has resonated with so many teachers and even parents is that I am calling for people to understand that asking -- demanding -- that a student do better, so long as it is from a place of genuinely wanting to see a student succeed, is not disrespect. While overcorrecting happens, especially at the advanced/pre-pro/college level it often happens because the teacher is often more invested in the students progress than the student. Wanting to be great is not enough. It takes work, and actually responding to and applying corrections. There is a difference between using humor - the dry wit - in the studio, and being cruel. I may be guilty of the former, but not the latter. If I do say something like "Your po-po is in the next studio." I don't leave it at that, because that IS mean. I follow it up with explanations of ways to correct the problem. I am happy to praise students effusively when they have their "a-ha" moment. In short, I teach. As for your paying my salary, you DO NOT. The college or director of the studio pays my salary. You pay for teachers to make your daughter a better dancer. You have entrusted an institution to hire faculty that fit its mission statement. Teachers do not work for parents. We are not maids and butlers. We are not the help. We are there to educate. We are there because we have dedicated our lives to an art form/academics/sports and want to pass down the traditions and skills that we have learned and embodied. Good for you for playing devil's advocate. And while I don't like what you have to say, I can take the criticism. I know that I am a good and very thorough teacher. Not everyone is going to love me - but I know I spend a lot of time with students trying to get them to understand. And teachers - from the loving to the taskmasters - are tired of working harder than students and being dragged through the mud for it. It would appear that anonymous and I have had very similar experiences! My daughter has also been subjected to some of the "humiliation and cruelty" you posit as just another part of a dance studio, much like a barre or tights. I respectfully disagree. I am certain that Coach Knight and more recently Coach Rice thought physically abusing their players was "part of the game". Thankfully, most coaching has progressed past that stage. LIkewise, not that long ago, when a football player was "rung up", it was "part of the game" to send him back out there. Now we know that such behavior has resulted in long term brain damage to these boys and men. My point is, coaching styles evolve. As a graduate of law school, I am intimately familiar with tough teaching tactics. There are very few better examples of humiliating teaching styles than the socratic method favored by law professors. Fortunately, not all of my teachers adopted that somewhat archaic style and I can attest to the fact that I learned just as much from the tough but fair teachers who used a more collegiate approach to teaching as I did from the autocratic professors who clung to the socratic method. In addition, I find it hard to believe that rudeness is that much more efficient in a large class as professional and courteous behavior. No one is suggesting molly-coddling. But you can be tough and fair. You can constructively criticize without humiliation. Most of the girls where my daughter dances are very hard-working and very dedicated. But they are subjected to very abusive coaching -- and there is no "yin" to the "yang." There is scant, if any, positive reinforcement employed. Very rarely are the successes or even the stellar efforts acknowledged. All too often, the only message these girls hear is "not good enough." To me, this is not the way to inspire; it's the way to destroy the love of dance that most of these lovely young ladies start with. As an instructor and studio owner, I think this letter is fantastic. I have this conversation with my students all the time... I correct you because I care. I could stand in front of them and tell them they're all amazing and rainbows, sunshine, etc. but when they go to a competition or an audition, they are going to realize that I'm sugar-coating and stop trusting me. Each student is different in the way he/she responds to corrections. Some can just be told and that's it... others need to be shown, walked through the process, even physically moved in order to accurately understand what's going on with their dancing. As a parent, I believe you can tell whether or not a teacher is crossing the line from constructive to abusive. If you feel that's happening, then it needs to be addressed with your child's teacher. In no way do I feel this article is condoning this type of behavior. It's simply stating that although we have our frustrations as teachers, and we will knowingly admit to them, it always comes down to how much we care about the success of our students and our love for the art of dance. Whenever I have my blowouts in class or rehearsal, which are few and far between but still do exist, I always make sure to pull the group together and explain to them where it comes from. Every year, I have students who thank me for pushing them. They know that the reason they worked as hard as they did is because they had someone encouraging and pushing them every step of the way. If you have a young dancer with hopes of making it professionally, they are going to need tough skin. I'm not saying that you settle with an instructor that screams her head off all the time, but some harsh criticism and reality is necessary. The dance world is ROUGH and if you can't take the heat, there are thousands of dancers anxiously awaiting to take your place. The SYTYCD judges, in addition to all dance judges and company directors out there, know that no matter how talented you are, they can always find someone else. It's a harsh reality, but that's life! I came across your blog, and although I teach 5th grade, I agree with EVERYTHING you stated! In fact, I found your blog while googling a way to let my students know that I am NOT in fact mean and rude, I am a teacher who is just trying to give my students a top-rate education at a tough, Title I school!! Thanks for your inspiration and guidance--If you do not mind, I would like to use some of what you wrote (citing my source of course) in my letter?! We don't have it easy these days, but I rejoice in knowing that some of us teaching mommies, are raising a better, more kind generation where kindness TRULY matters everyday in everything and RESPECT is a two-way street. Hi, Mrs. Penna! So glad you stumbled upon me, and that this post spoke to you. For better or worse, I am finding this post to be more relevant almost every time I step in the classroom. Just this past week, we had another conversation about how teachers are doing you no favor at all by sugarcoating everything. By all means, please use it as you see fit! Thank you so much for your interest and taking the time to comment!